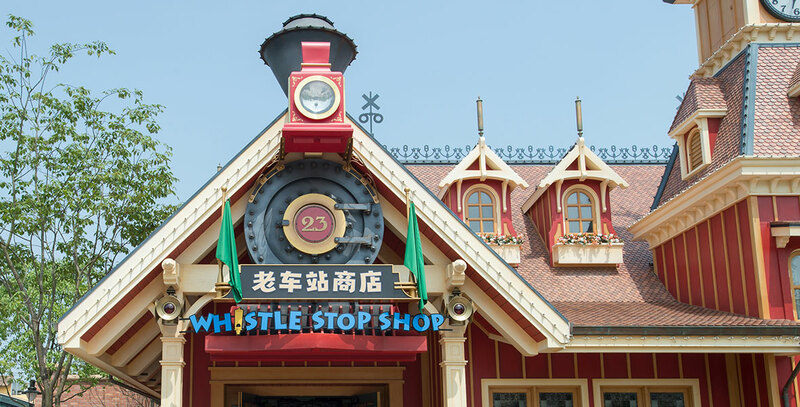 Whistle Stop Shop Train station-themed shop on Mickey Avenue in Shanghai Disneyland; opened June 16, 2016. Toys and keepsakes are sold. For the first time, guests can have their Mickey Mouse ear hats embroidered in English or Chinese.